Onkyo Music review | What Hi-Fi? When you think of Onkyo you envisage AV receivers and hi-fi components, but hi-res music download services? That would be way down on the list. However since 2005, e-onkyo music has been one of Japan’s prominent online download stores. A decade on, the service has been expanded to the USA, UK and Germany and rebranded as OnkyoMusic. 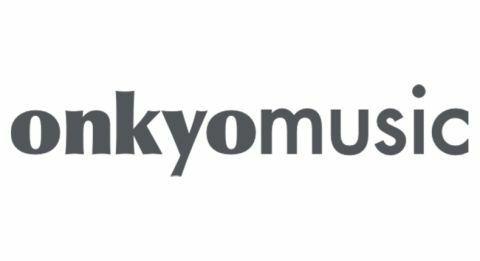 If you’ve visited the company’s website recently you may have noticed a small OnkyoMusic badge on the homepage. Like Technics Tracks, the hi-res download store is the result of a partnership with the 7digital music platform, from which it sources its content to give users access to ‘hundreds of thousands’ of hi-res tracks and ‘millions’ of CD-quality files, though the precise figures aren’t clear. While e-onkyo boasts DSD format support too, OnkyoMusic provides all its hi-res downloads as 24-bit FLACs, from 44.1kHz to 192kHz. That collaboration makes its catalogue one of the most extensive around, and its front-end an unsurprisingly familiar one – for anyone already versed in Technics Tracks, anyway. While the website looks different (splashes of red put a little colour into the site’s largely grey and white interface), there’s a lot of overlap when it comes to search functions and layout formats. Prices are analogous too with most new releases falling between £12 and £18; The Coral’s Distance Inbetween (24-bit/44.1kHz) is £14.49, LNZNDRF’s eponymous 24-bit/96kHz album is £11.12, and you can get Coldplay’s A Head Full of Dreams in full 24-bit/192kHz for £22.99. Those who like their websites to be uncluttered and easy to use should get on with OnkyoMusic. The homepage is pretty sparse, showcasing some of the newest releases – the majority of which are hi-res – and 7digital’s just-landed MQA files (hi-res files packaged into smaller file sizes). At the time of writing there are eight MQA albums available, priced at £16, compared to the 16 on Technics Tracks. There’s a sidebar for new releases and recommended albums, and the odd editorial such as an interview with James Bay. You can browse by genre, from alternative to electronic to R&B, and within each are popular releases, latest releases and top artists. There are some irregularities – Roger Waters sitting underneath Ludwig van Beethoven in classical, for example – but they don’t seem too widespread. Click on the artist and you’ll find all their album releases, top tracks and similar artists, which is a big asset. The search bar has a hi-res filter, so using it with a search for Elton John brings up the 24bit/96kHz Wonderful Crazy Night album and hides the CD-quality Rocket Man and Goodbye Yellow Brick Road. That’s fine when you only want hi-res results from an artist with a big discography, however, there’s no way to filter wider search results by resolution, or even sort them, which we think is a shame. While some searches bring up ‘no matching’ tracks, you’ll see that digging into the albums or an artist’s page will uncover them; in Sir Elton’s case, 60 of them. The lesson here is that if you don’t succeed first time, try, try again – nine times out of ten we found that the catalogue had what we were after. A little prone to freezing, it forces us to refresh the page on occasion, and in our week with it we were subject to frequent ‘error’ messages. It’s a little picky too; search for an artist – in this case, Nils Frahm – and instead of being taken directly to the artist page you have to go via a page of search results. Leave out the silent ‘h’ or misspell the name and its unforgiving nature doesn’t right your wrongs for you. Technics Tracks generates similar frustrations, but we prefer its cleaner, more reliable interface and greater focus on recommendations. If you know exactly what you want, OnkyoMusic is fine, but a lack of discovery functions and filters don’t make it great for window shopping – and that plays into Qobuz’s hands. The app, available for Apple and Android devices, is an even more stripped-down version, putting you at the mercy only of a search bar and new release, classical and metal tabs. After checkout you get the option to download each song one by one, but it’s quicker to go into ‘Your Music’ and download third-party Chrono Download Manager or Multi-File Downloader extensions (as suggested by Onkyo in its ‘help’ section) for downloading multiple tracks and albums in one go. We purchased ten or so albums and most could be downloaded some five or ten times. We’ve no complaints in the sound department, the presentation of Mike Oldfield’s Pran’s Departure (from The Killing Fields soundtrack) in 24bit/96kHz bold and authoritative, subtle and informative. In fact, the sonic similarity with Technics Tracks is uncanny – not exactly surprising considering they’re coming from the same back-end. Xylophones are twinkly in texture, dynamic precision makes the most of its rapturous orchestral climax, and bowed strings have a sense of tangibility and gravitas – the extent of which is only exacerbated by a comparison with a CD-quality version. Spaciousness isn’t a trade off for cohesion in David Bowie’s Lazarus (24bit/96kHz), so galvanic drums, feral saxophone solos and his sentimentally strained vocal work en masse in a presentation that shows no shortage of energy or attack. Onkyo has laid solid foundations for a great hi-res download service – an exhaustive catalogue of quality-sounding tracks – but at the moment its front-end fails to make the most of it.